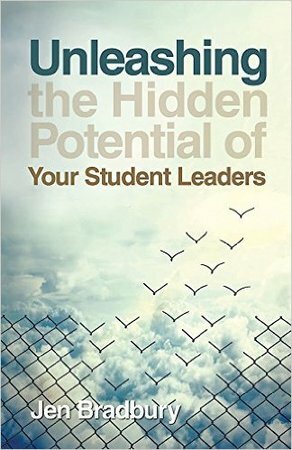 My new book, Unleashing the Hidden Potential of Your Student Leaders, is out! I'm convinced that when done well, student leadership has the ability to transform your youth ministry. With that in mind, over the next few weeks, we're going to be talking about student leadership. You'll hear from several different youth workers about why they value student leadership as well as how they do student leadership. Their opinions vary and many of their perspectives on student leadership are also different than what you'll find in my book. Today's post is by Justin Knowles. Over the last several years, I've gotten to know and respect Justin through the Download Youth Ministry Community, which we both blog for. If you're a member of their Facebook group (And if you're not, you should be) you've no doubt connected with Justin there, as he manages the page and helps ensure things stay civil. Aside from writing about youth ministry, Justin also practices youth ministry. He's currently the Lead Student Ministries Pastor at Christ’s Church of the Valley in San Dimas, CA, where he oversees 7th-12th grade with an amazing team. You can follow Justin on Twitter: @justinknowles3. We have a student leadership team in our ministry. I love it. Listen to them. I look at our student leadership team as a pretty good representation of our student ministry. We have 6 schools represented, from 9th-12th grade students, both male and female… and they have good ideas! They have the insider information! They give a great pulse on how you're doing and whom you're actually reaching. They have some great thoughts on sermons and events. You could be planning an event and they could tell you their friends would not be interested in something like that. It could be huge. Just in our last meeting, we went through the Intentional Churches exercise, “Right, Wrong, Missing, Confused,” with our student leaders. During this, we walked though what was right about our ministry, wrong with our ministry, missing from our ministry and confusing about our ministry. The info was super telling. We then were able to vote and pick out the top 3 things we need to work on to make our ministry better. As a student leadership team, we'll work on those things all year long to take our ministry to the next level. This creates buy in, a common goal, and a desire to drive forward because they felt heard and they identified the things they want to work on. Listen to them. Actually do what student leaders say. You want to know a sure fire way to kill any momentum in your student leadership team? Let them be heard but don’t do something they suggest. Our jobs are to make sure they will feel empowered to take action. So trust them a bit. They have inside information to what their peers need to hear or see. When you actually do something they suggest it will give you even more buy in with them. When students say to their friends, “That was my idea,” it's a huge win for your student leadership team and ministry. Give them easy, accessible steps to start. Every year every student has to reapply for student leadership. As we add and drop students we always start off the year with new people and team building. We want to slowly build confidence in their leadership, as some might not be able to step up as quickly. This is why we give them easy steps first and add on responsibility throughout the year. •	Welcome team – High fives at the door to begin service. If you want to see students be built into leaders, give them things they can do right away. As the year goes on, you will be able to push and stretch them beyond what they think they're capable of. Give them complete control. Every year ends with a huge BANG! We do a series called YOU OWN THE NIGHT (which I learned from my time at Saddleback Church high school ministry). This is a series where our team works side by side with our student leadership team to run the service. We give the students complete control of our services for 4 weeks. Each one of our major high schools takes over for the night and our student leaders run teams of students from their own schools to plan, organize, lead, teach, play in the band, and decorate outside. There are no adults on stage for 4 weeks. If you're like me, you just fainted a little bit. I cannot tell you how much more impactful these services are than the ones I plan. I actually get a little jealous. When you listen to your student leadership team, actually allow them to do the things they suggest, build up their skills throughout the year, and give them complete control, God moves in mighty ways. These services have been amazing. Students have power and influence you will never have as an adult. When they have the chance to lead, they are set up well; they can actually impact your ministry. Just get out of the way sometimes. To learn more about student leadership, get your copy of Unleashing the Hidden Potential of Your Student Leaders here!